Landing page protection tool protects your landing pages from being ripped or stolen. This clever little tool will rotate your offer link even if the offender changes it so that you still profit from your landing page even if someone takes it from you. 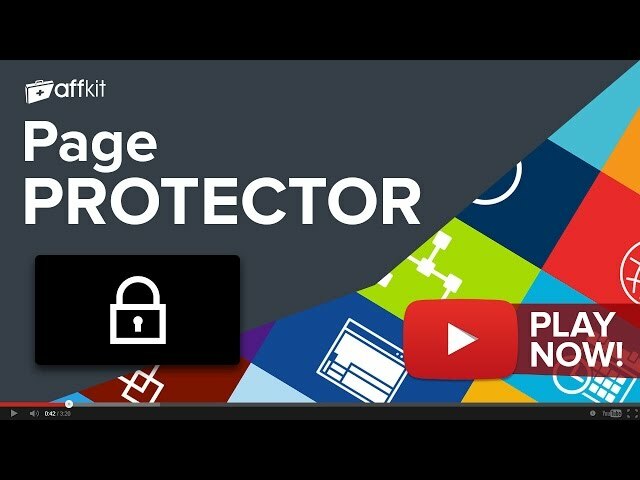 Landing page protection comes free with your AffKit membership. Sign up now to have full access to Landing page protection and another 20 must use tools. If you're already a member you can Log in now or Sign Up to get access.